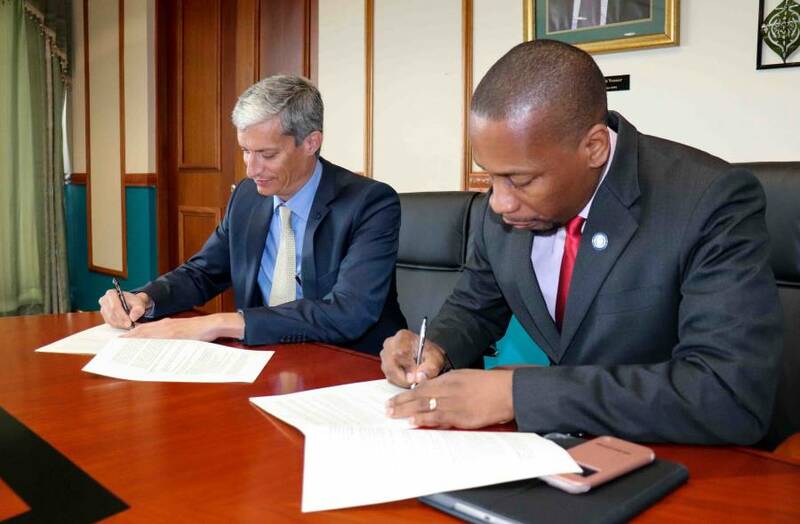 The Eastern Caribbean Central Bank (ECCB) and the Barbados-based Fintech company, Bitt Inc have signed a Memorandum of Understanding (MOU) to conduct a FinTech pilot on blockchain technology in the ECCB member countries. During the pilot, the ECCB will work closely with Bitt Inc to develop, deploy and test technology which focuses on data management, compliance and transaction monitoring system for Know Your Customer, Anti-Money Laundering, and Combating the Financing of Terrorism (KYC/AML/CFT). This will help to improve the risk profile of the Eastern Caribbean Currency Union (ECCU) and mitigate against the trend of de-risking by the region’s correspondent banking partners. The pilot will also focus on developing a secure, resilient digital payment and settlement platform with embedded regional and global compliance; and the issuance of a digital EC currency which will operate alongside physical EC currency.